Los Angeles, Calif. — February 26th, 2018 — TheBrain Technologies, the leading provider of dynamic visualization and knowledge management software, announced its newest release, TheBrain 9. TheBrain’s context-driven, visual interface offers users an alternative to linear note taking apps, hierarchical file/folder sharing services and conventional mind mapping by dynamically visualizing and reorienting users’ “Thought display” each time a topic is selected. TheBrain’s no-limits network and linking technology enables an unlimited number of topics, links and disparate data sources to be connected and navigated. Brains can have millions of Thoughts on everything from a user’s top work projects to their philosophy of life. Executives from multiple industries use this technology to visualize and connect complex research and business processes for efficient knowledge delivery. This linking ability has garnered millions of downloads and paid users at more than half of the Fortune 100 organizations, in addition to small business, educational and government institutions worldwide. The biggest upgrade ever for the company, TheBrain 9 has been re-engineered from the ground up to provide enhanced capabilities in all aspects from the front-end user interface to the back-end data storage. 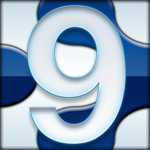 Featuring a powerful and more robust backend, TheBrain 9 starts faster, is more responsive and scales better. TheBrain was rewritten as a native application and optimized for the OS-specific features on Windows, macOS, iOS and Android. The all-new timeline features a zooming interface that smoothly scales from one day to multiple years. Events can be synced with Google Calendar and associated directly with thoughts and links. TheBrain 9’s embedded browser shows web pages right inside user Brains. PDFs, images and many document types including Microsoft Office files can be viewed without the need to open an external application. The new Notes editor separates content and presentation, allowing flexible idea capture that can be styled easily. It includes hassle-free embedding of images, videos, links, and more. 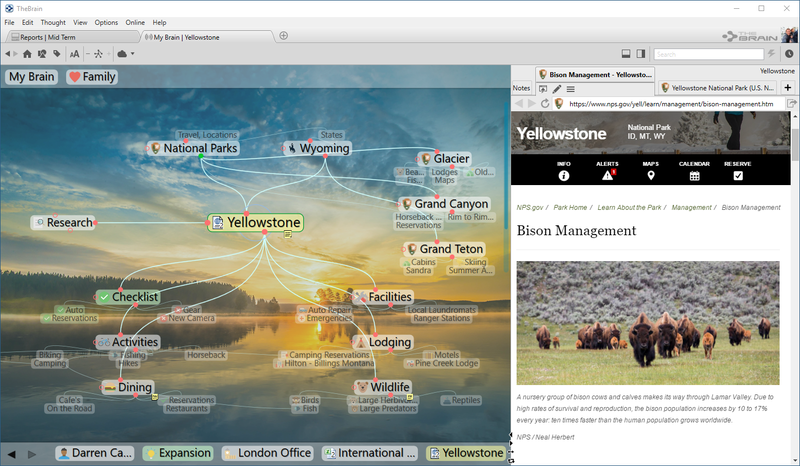 With TheBrain, users get the big picture on information relationships so related content is always displayed. 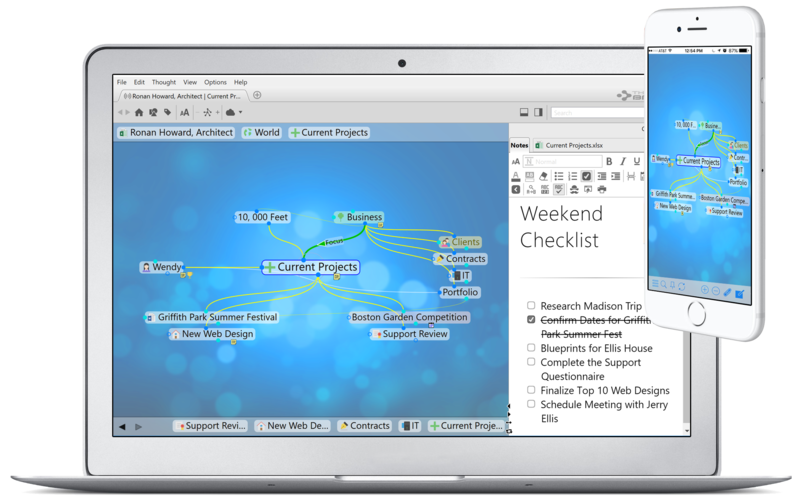 New in version 9 is the mind map view which dynamically creates a traditional mind map display from any starting point within a Brain, enabling one-click access to hundreds of topic-specific notes, files, web pages and other attached content. Users can access their Brain on their desktop, in the cloud or on their mobile device. TheBrain 9 sync enhancements enable users to work online or offline and sync everything, including attachments, across all devices. From creating thoughts to adding attachments, user actions in the software are streamlined and more intuitive. New Brain tabs allow users to open multiple Brains or multiple views of one Brain simultaneously. Other notable new features include: visual tagging, more powerful reporting, JSON data export, historical change tracking, fast archiving, smoother animation, comprehensive undo and redo, flexible multi-selection tools, folder attachments, and faster search. TheBrain 9 is available for immediate download at http://www.thebrain.com and is offered in Free and Pro editions. The Free edition does not expire and lets anyone link ideas and Web pages on their desktops and in the cloud. TheBrain Pro offers unlimited file management, advanced search, secure cloud backup, and much more. TheBrain Pro as a desktop license only is $219. The license and one year of services is $299, which includes upgrades and the full suite of online sync and other cloud services. Certain users of TheBrain are eligible for a free upgrade to TheBrain 9 and discounts. For more information, visit sales@thebrain.com. TheBrain Technologies helps people see, share and find information faster. TheBrain software helps organize and capture ideas, projects and information on the desktop, in the cloud, and in the mind’s eye. Download TheBrain at http://www.thebrain.com.